A warm welcome to our website. Please feel free to explore the site and let us know what you think of it. Located on lovely, leafy Pitshanger Lane. We stock over 3000 titles. As well as books, we sell cards, wrapping paper, stationery and games. Everybody that works here lives locally. We all love the area and we all love books so please feel free to ask if there's anything you need. By 1979, we knew all that we know now about the science of climate change - what was happening, why it was happening, and how to stop it. Over the next ten years, we had the very real opportunity to stop it. Obviously, we failed. Nathaniel Rich's groundbreaking account of that failure - and how tantalizingly close we came to signing binding treaties that would have saved us all before the fossil fuels industry and politicians committed to anti-scientific denialism - is already a journalistic blockbuster, a full issue of the New York Times Magazine that has earned favorable comparisons to Rachel Carson's Silent Spring and John Hersey's Hiroshima. Rich has become an instant, in-demand expert and speaker. A major movie deal is already in place. It is the story, perhaps, that can shift the conversation. 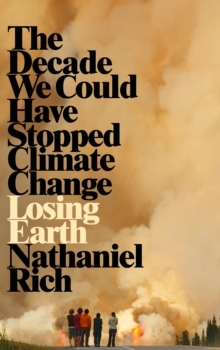 In the book Losing Earth, Rich is able to provide more of the context for what did - and didn't - happen in the 1980s and, more important, is able to carry the story fully into the present day and wrestle with what those past failures mean for us in 2019. It is not just an agonizing revelation of historical missed opportunities, but a clear-eyed and eloquent assessment of how we got to now, and what we can and must do before it's truly too late. Wednesday April 2nd My birthday. I am thirty-five today. I am officially middle-aged. It is all downhill from now. A pathetic slide towards gum disease, wheelchair ramps and death. Adrian Mole is middle-aged but still scribbling. 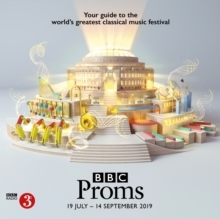 Working as a bookseller and living in Leicester's Rat Wharf; finding time to write letters of advice to Tim Henman and Tony Blair; locked in mortal combat with a vicious swan called Gielgud; measuring his expanding bald spot; and trying to win-over the voluptuous Daisy . . . Adrian yearns for a better more meaningful world. 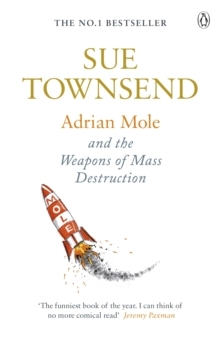 Bestselling author Sue Townsend was Britain's favourite comic writer for over three decades. The story of this remarkable house and of its creator, whose influence is as strong today as ever. 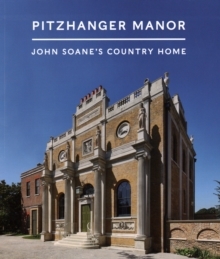 Sir John Soane was one of Britain's most influential architects when he designed and built Pitzhanger Manor between 1800 and 1804. He intended this country estate to reflect his new-found social status and to showcase both his skills as an architect and his eclectic collection of art and antiquities. Newly conserved and returned to his original design, Pitzhanger is a rare London example of a spectacular Soane building. This guide tells the story of this remarkable house and of its creator, whose influence is as strong today as ever. If you would like to read any of these books, please send us a message from our contacts page, and we will reserve a copy for you. 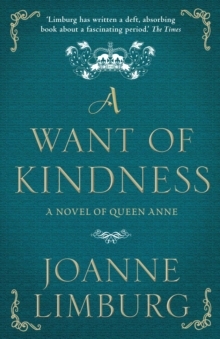 This film starring Olivia Coleman is about Queen Anne and her close relationship with Sarah Churchill, all of which is covered in this excellent book by Joanne Limburg. Every time I see the King and the Queen, I am reminded of what it is I have done, and then I am afraid, I am beyond all expression afraid. The wicked, bawdy Restoration court is no place for a child princess. 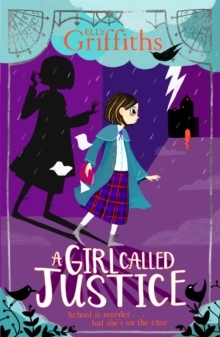 Ten-year-old Anne cuts an odd figure: a sickly child, she is drawn towards improper pursuits. Cards, sweetmeats, scandal and gossip with her Ladies of the Bedchamber figure large in her life. But as King Charles's niece, Anne is also a political pawn, who will be forced to play her part in the troubled Stuart dynasty. As Anne grows to maturity, she is transformed from overlooked Princess to the heiress of England. Forced to overcome grief for her lost children, the political manoeuvrings of her sister and her closest friends and her own betrayal of her father, she becomes one of the most complex and fascinating figures of English history. Pitshanger Bookshop has been a feature on Pitshanger Lane for nearly 20 years. My name is Fiona Kennedy and I've owned the shop since August 2011. There are 4 of us working here at various times: myself, Hazel, Ruth and Vanda. We all live locally and love the neighbourhood. And of course we all love books too! You can see what we're reading at the moment on the right hand side of this home page. We love chatting about books, making recommendations, and hearing what our customers recommend too. We offer a friendly service so please feel free to approach any of us if you need help or advice when you're in the shop. We look forward to seeing you soon. We have several events coming up over the next few months but we are just firming up details. 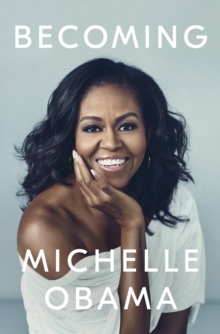 I really enjoyed this autobiography. The account of her upbringing is interesting because it paints a very different world to the one portrayed by the media. There are some very amusing anecdotes but absolutely no sense of celebrity. To sum the book up I would say it is very well written and the overriding feeling is that it is a very thoughtful account of a life changing experience. If you would like to stay in touch and make sure you don't miss out on upcoming events and new titles, please join our mailing list. We'll send details of what's going on each month. Just send us your details in the message box above and we'll be delighted to add you to our growing list! We are open Monday – Saturday, 9.30 to 5.30 and closed on Sundays.